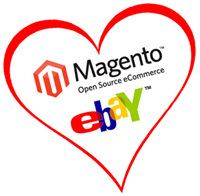 eBay will acquire Magento, an open-source ecommerce platform, in which it had acquired a 49% stake last year for $22.5 million. eBay also launched a branding effort called X.Commerce located at X.com, which was formerly the home of the PayPal Developers program. eBay CEO John Donahoe said in a statement, "The feedback we've heard from external developers has been clear - they don't just want payments or an ecommerce site; they want access to a full set of commerce capabilities to build complete shopping experiences for merchants. We believe the acquisition of Magento and creation of our X.Commerce group will enable us to meet developers' needs and drive global commerce innovation for retailers and consumers." eBay calls X.Commerce an integrated open commerce platform group that is focused on leveraging its assets and partner technologies to build a strong, robust developer community as a resource for merchants and retailers of all sizes. eBay will share more details about the initiative with developers during the X.Commerce Innovate conference (formerly called the PayPal Innovate conference) on October 12-13 in San Francisco. In February, eBay had cancelled its own Developers conference that had been scheduled for this week and had announced a combined open platform push made up of the assets of both eBay and PayPal platforms headed by Matthew Mengerink. Magento is a Los Angeles-based company with more than 290 employees. It launched Magento Go, a hosted software-as-a-service solution, with plans similar to Yahoo Stores and eBay's own ProStores web-hosting solution, but without the commission fees. Upon closing of the transaction in the third quarter, eBay will own 100 percent of the outstanding shares of Magento. Terms of the deal were not disclosed.